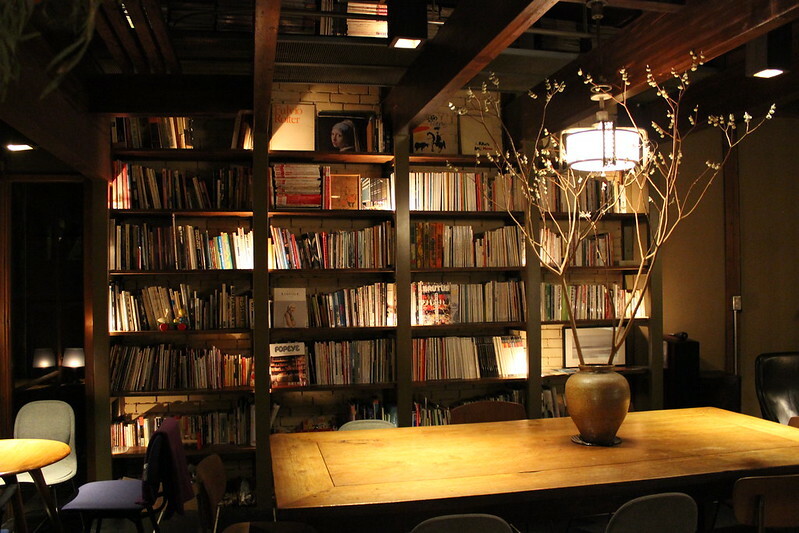 candidanimal: My Go-To in Kyoto: Café bibliotic HELLO! 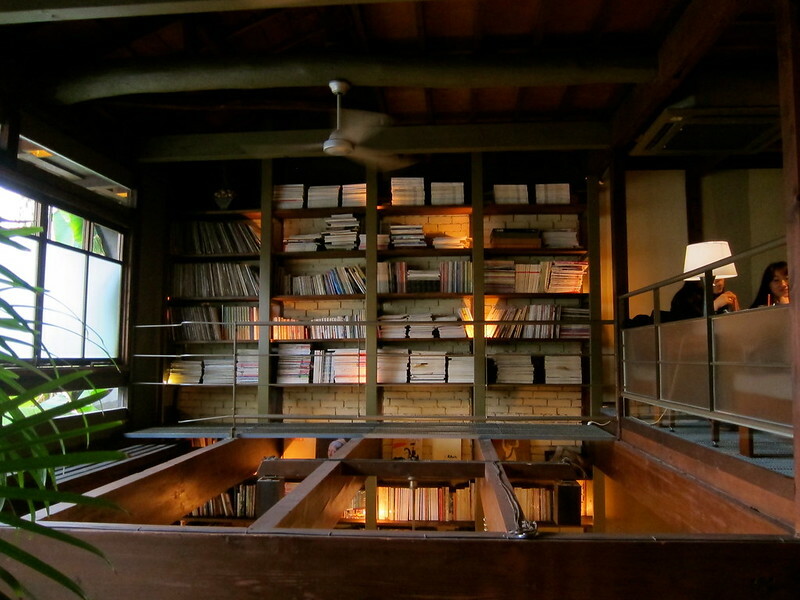 For me, this place was love at first sight. 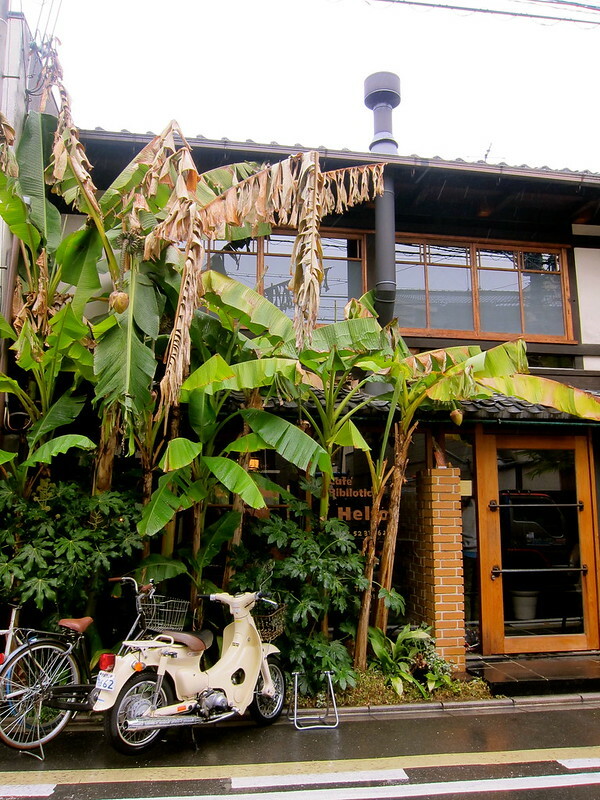 Nestled in a quiet narrow road just north of Karasumaoike station, palm trees shield the café from all but a casual glance. 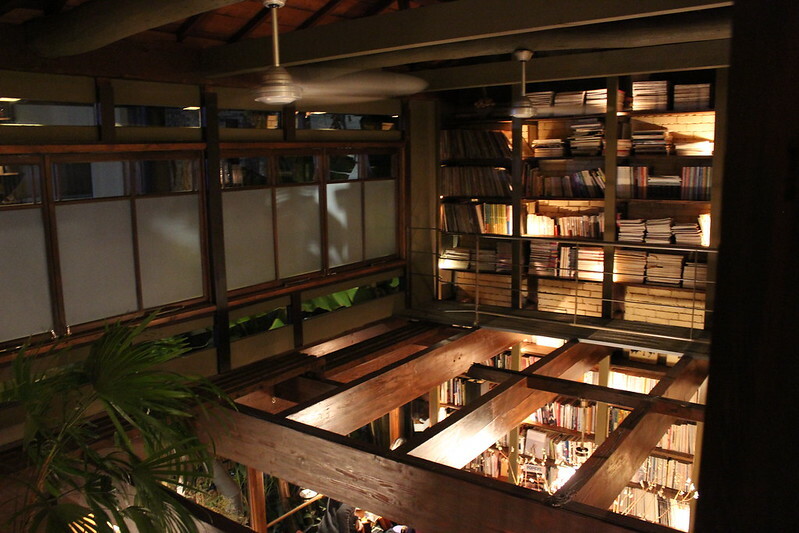 Inside, this two-story structure boasts a sundry collection of old Japanese books and magazines, a sizable food and beverage menu, an an ambiance that chances depending on where your sitting. 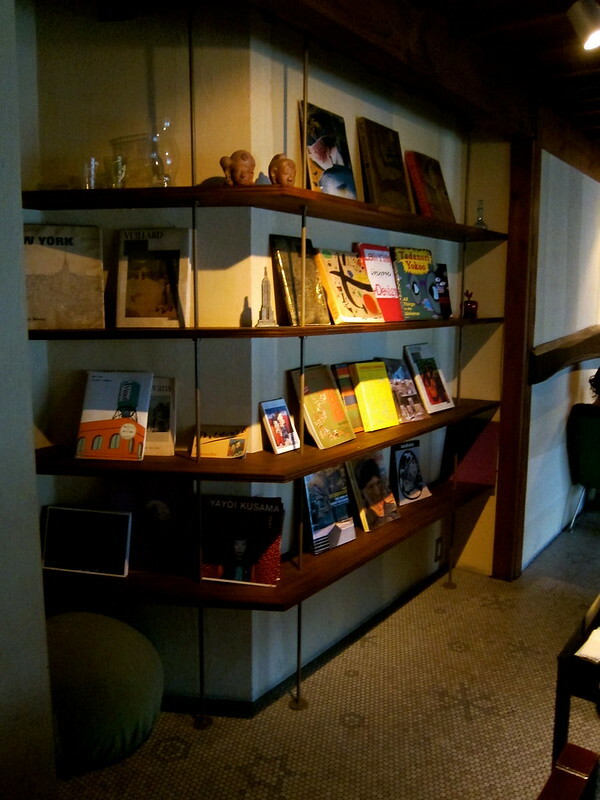 My first time to Café bibliotic HELLO! 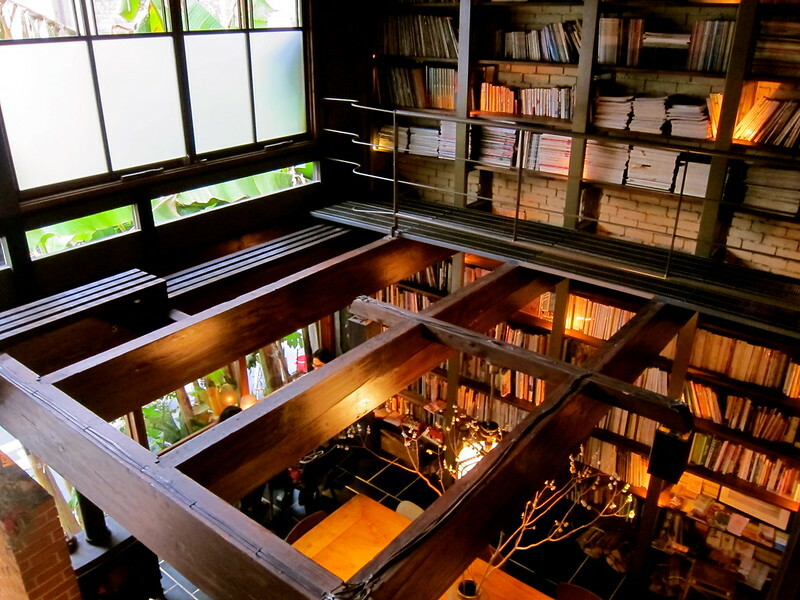 (yes, the exclamation mark is part of its name) I sat at a large communal table on the first floor. 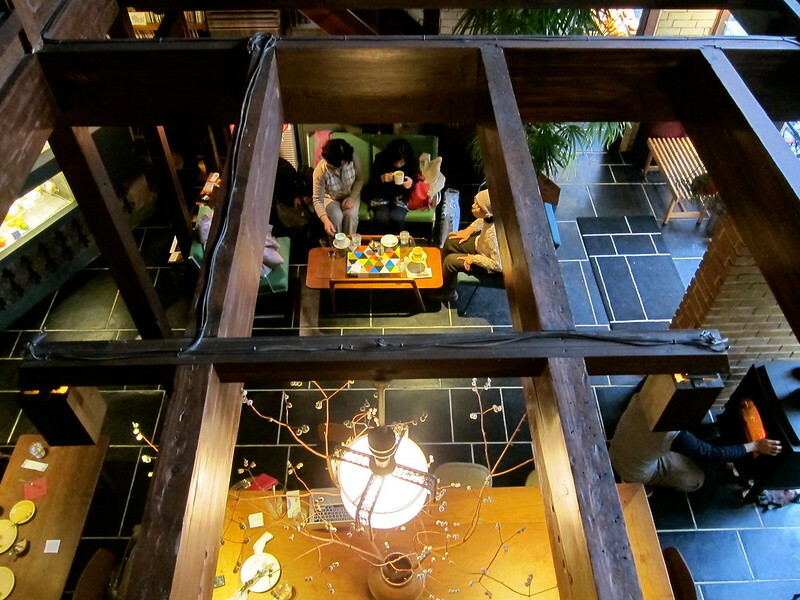 It’s the place for singles on a busy day. Like me, all were in the company of their laptops. 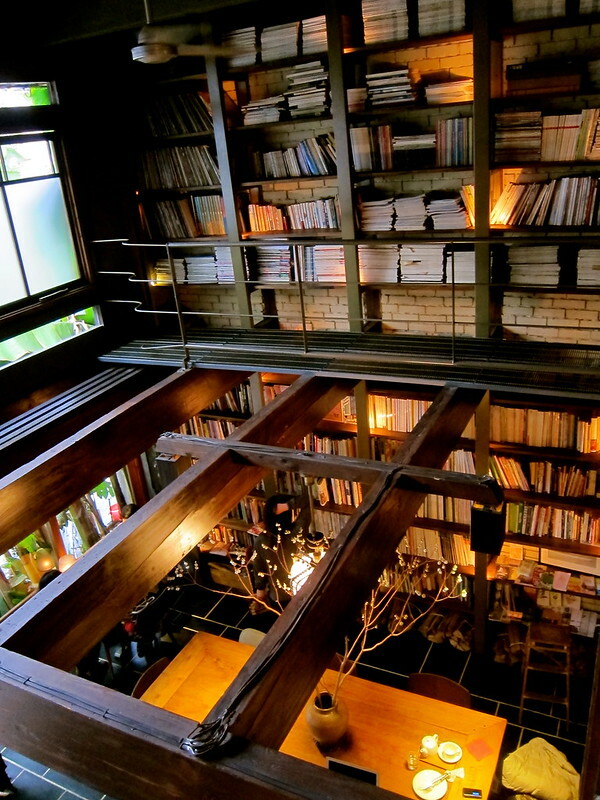 From where I sat, I had a view of their floor-to-ceiling bookshelves. Service was purposely slow. They want you to take your time. They don’t rush you to order or hurry you to leave. 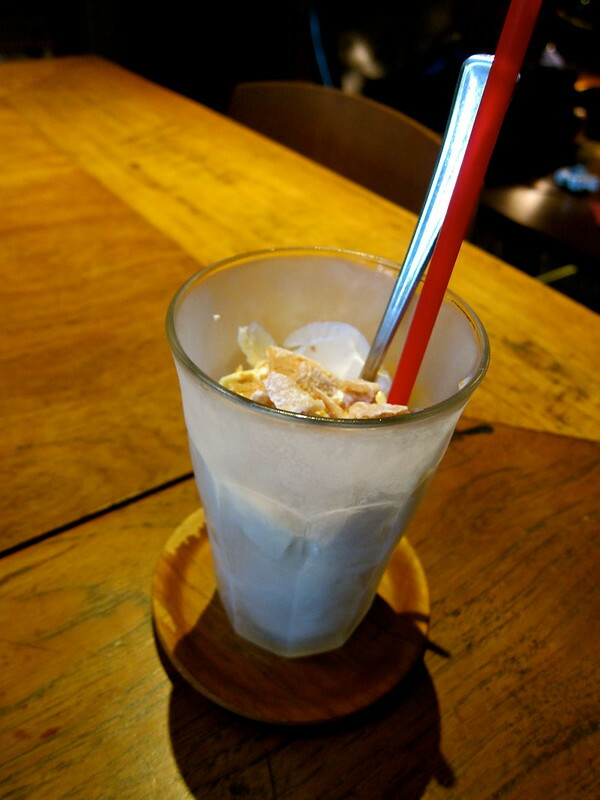 I quickly became addicted to their seasonal Honey Ginger shake, which had the spice of ginger and the sweetness of honey, with exactly the right ratio of milk and ice cream. The second visit I sat in one of the two coveted seats upstairs, Upstairs the atmosphere is completely different. The sofa and coffee table seem to facilitate romantic conversation while looking over the edge of the balcony onto the ground floor. 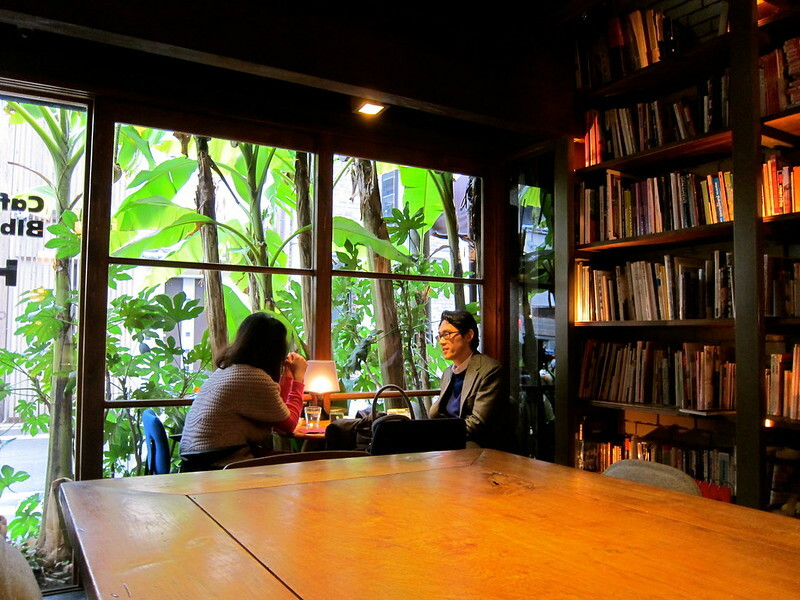 In the back of the cafe on the first floor a large window opens to a bamboo garden. Small groups of friends or coworkers are loudly chatting. 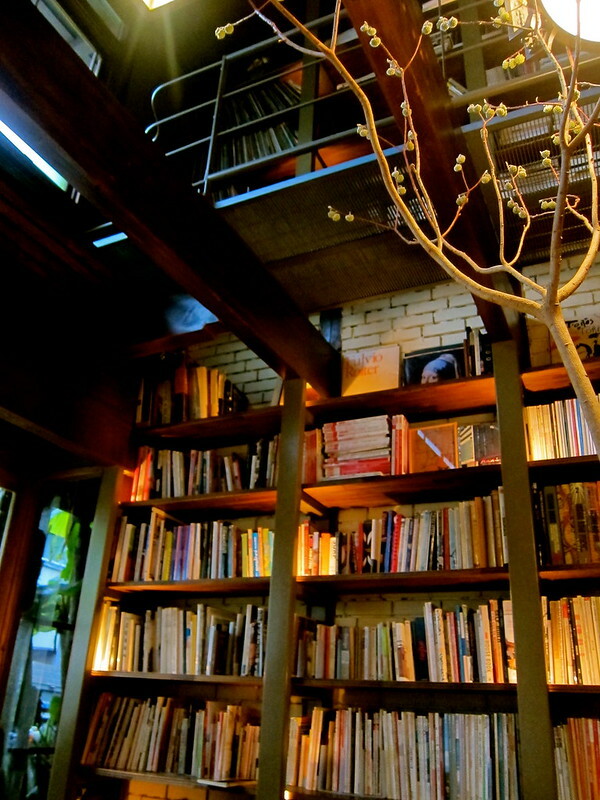 Because of its diverse seating and the change of settings through in each of its areas Café bibliotic HELLO! 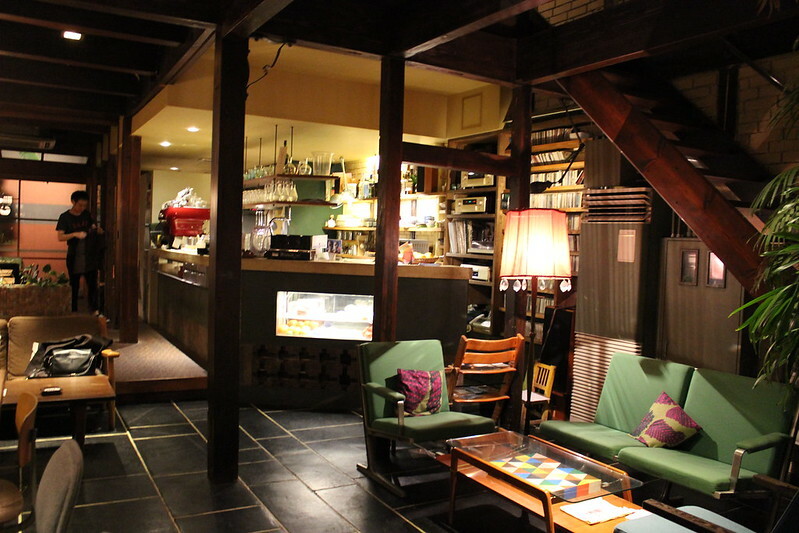 feels like six cafes in one. Each time I go I have a new experience, which is all the more reason to return. 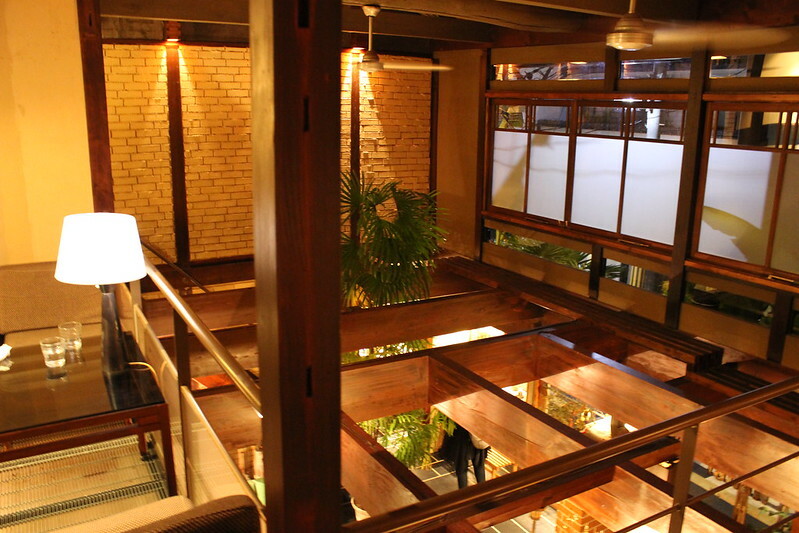 I’m talking about the quiet back streets in Karasuma, not the shop-filled streets of Shijo. When I spend four days in Kyoto I spend walking from one café to the next, talking to strangers, and telling stories, not peeking at the world through the lens of a camera, or hurriedly reading up on the details of an ancient temple, or trying to read a map instead of just simply looking around.